Why should I care about the OGP? OGP requires that governments work together with civil society in identifying national priorities for opening up government – making governments more transparent, accountable and responsive to citizens. 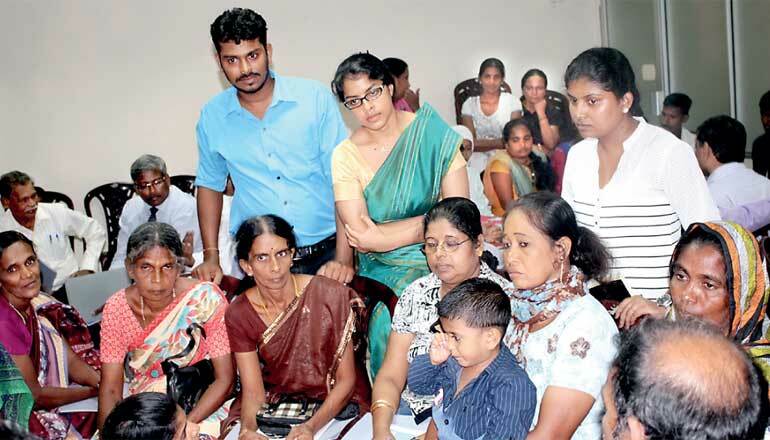 For the first time in Sri Lanka, citizens and civil society have been given a tool to participate in the policy making process and find solutions in partnership with government. As a participating country, Sri Lanka will have to develop a plan covering a two-year period, with very concrete commitments, like the 100 day program of President Sirisena but with specific milestones on making progress on different areas of open government such as access to information, budgetary openness, openness in natural resources and environment and anti-corruption, etc. OGP is about bringing governments closer to citizens, giving civil society a voice and seat at the table, and a chance to influence the good governance agenda. It’s also a chance for civil society to come together and build coalitions around specific issues that are pertinent to improving the everyday lives of citizens. But it’s not just about making plans, there’ll also be an independent assessment of results at the mid-term and end-term of the two year plan which will track progress against the commitments made, so there’s also accountability for results. 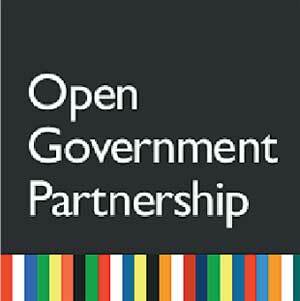 By signing up to OGP, governments agree to support civic participation and civic space. The platform provides some recourse to civil society when this commitment isn’t upheld. For instance on 4 May, Azerbaijan, which was a member of OGP since 2011 was designated as inactive by the OGP Steering Committee (SC), due to unresolved constraints on the operating environment for Non-Governmental Organisations. So the main three pillars of OGP that make it interesting are dialogue, concrete commitments, and accountability. Sri Lanka has appointed the Ministry of Foreign Affairs (MFA) as the lead agency coordinating the government effort on OGP while Transparency International Sri Lanka hosts the CSO coordinator. There are a number of other civil society organisations that have come together to work on this agenda. Over the past two months, we have been conducting regional consultations (in nine provinces) to identify what national priorities should be reflected in Sri Lanka’s first action plan. The consultations identified priority areas for government reform that can be helped by greater transparency, accountability and openness to public participation in policy making. Some of the issues that surfaced includes lack of transparency and impartiality of appointing women councillors to the local government, school teacher recruitment process, need to enact the Right To Information bill as much as strengthening the anti-corruption agencies and the restoration of the public’s right to comment on ‘Initial Environmental Examination’. Based on these findings, a voluntary group of civil society organisations have been drafting concrete and ambitious commitments that will be presented to the government for consideration. This exercise will be concluded with a high-level government consultation planned for 20 June, chaired by the Deputy Minister of Foreign Affairs Dr Harsha De Silva. Once the National Action Plan is agreed in consultation between Government and civil society, by a joint steering committee with equal number of representatives from CSOs and Government, it will be put forth for further public consultation. The plan will have a two-year implementation period going up to June 2018. As CSOs, we will come up with a progress tracker to track the commitments in the NAP ranging from service delivery to policy reform. And OGP’s Independent Reporting Mechanism will also independently review progress. Isn’t this just another action plan? No. In most action plans once the main document is handed over to the highest authority the actions tend to stop. Those who contributed to the action plan don’t tend to have a legitimate say in the implementation of it. In OGP that’s when the second phase of action begins, where once the NAP is produced, the CSOs and the Government can work hand in hand and find ways in which all stakeholders can contribute to the implementation of the commitments pledged and also monitor progress on an ongoing basis. Remember how the 100-day program was a game changer in the Sri Lankan culture of accountability? It helped us to see the value in things not done? Well this is a change beyond that. It not only gets the government to make a promise (if one doesn’t make a promise you can’t even be held accountable for it!) but also holds the Government accountable for it until they fulfil it while the CSOs take equal responsibility and helps the Government fulfil the promises made. This is possible since the plan will ideally have concrete step-by-step deliverables with several deadlines and will be publicly available, enhancing opportunities for public accountability. Given the international nature of OGP, the domestic commitments are also translated into international commitments that the Government will be held accountable for. What if the Government does nothing? There are good reasons to believe that this will not be the case. The OGP declaration was signed under the present ‘Good Governance’ mandate of President Sirisena and Prime Minister Wickremesinghe voluntarily on invitation. It’s also the first time in the history of Sri Lanka a government has voluntarily pledged to be held accountable to a collaboratively drafted NAP/single policy agenda consisting of its citizens issues. 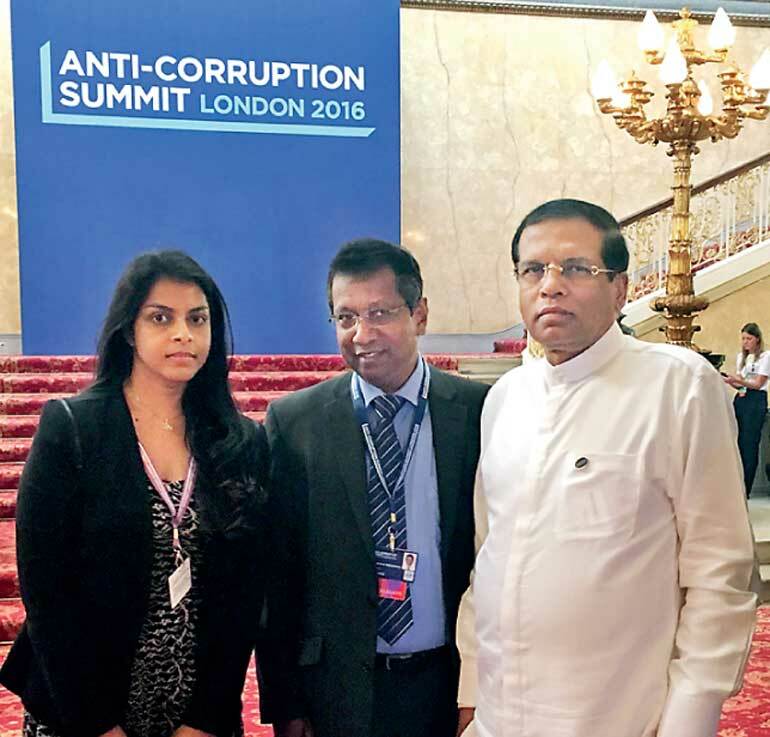 At the ‘Anti-Corruption Summit’ held in London on 12 May President Sirisena made a series of commitments, stating explicitly in paragraph 31 that OGP should be used to advance Summit commitments by including them in action plans where appropriate. Why is this important to a middle-income country like Sri Lanka? Sri Lanka is one of 69 participating countries and the first South Asian country to join OGP. The world is rapidly shrinking in size due to various relationships made by way of trade, social and policy ‘agreements, pacts and declarations’ with countries with similar standards. Sri Lanka too must be geared to be a part of it and not be left behind. Promoting dialogue between Government and civil society may be one of the most critical contributions OGP can make in a country like Sri Lanka where we are in a phase of re-building trust between our leaders and our citizens. Solving jointly identified problems together holds the potential to accelerate and make more efficient the common task of finding solutions in the public interest. OGP also provides Sri Lanka an opportunity to learn from best practices in other parts of the world and share our own successes. What are the barriers foreseen in successfully implementing the OGP in Sri Lanka? It’s a rare sight to see words such as ‘Government’, ‘civil societies’ and ‘working together’ in one sentence. Even if there was such a construction it would normally be followed by guidance for the politicians/civil servants to be more willing to open the doors of Government and for the civil societies to be more understanding of the limits in shifting bureaucracies and the need for pragmatism, patience and flexibility. Despite these generic views, the planning meetings held with the Ministry of Foreign Affairs were constructive and as a result the OGP CSO team I coordinate were able to conduct successful joint ‘public consultations’ bringing Government officers and CSO members to a single forum to voice their issues and share their expertise to draw up feasible specific measurable solutions within the OGP framework. As mentioned above we have also agreed on a joint national steering committee giving equal opportunity for Government and the CSOs to manage the process. How can we be involved this process? Both Government and civil society are committed to an open process, starting from participation in the open ‘public consultations’ to publishing the issues and the solutions discussed at these consultations. Once a draft action plan is in place, the Government is required to make it available publicly for feedback from all. Hence as media, do continue to provide the service of taking the information on what’s happening to the public at large and for those who are reading do contribute your thoughts and suggestions to the information published to make the final NAP a productive document for the benefit of the country.